No conpetition with "Shimanami Island running book"
If you are told what I recommend most for Shimanami books, I definitely recommend "Shimanami Island running book"
For beginners, or for well experienced person. 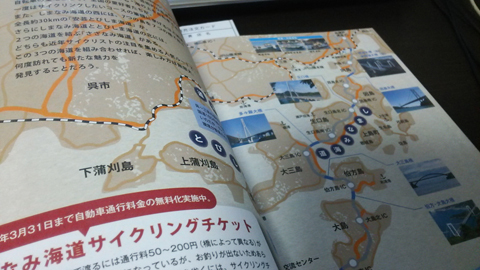 Anyway, even this book was writtend by a person who works at NPO of Shimanami Kaido called "Cyclo-Tourism-Shimanami" who is active as a porting guide, and a great person whose name "Utsunomiya Kazunari" knows the interesting part of Shimanami. 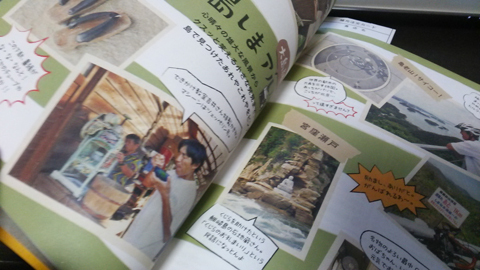 "I bought this if I knew this" Shimanami Island Running BOOK "from the beginning! I regretted that! compared to Shimanami Island runbook. 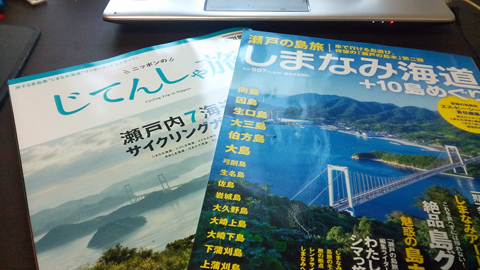 The person "Mr. Utsunomiya Kazunari" who wrote this book is a wonderful person who bicycled around the world for more than 10 years. Moreover, it is a two-person bike riding a circle around this world, a two person passenger bicycle, and because it is said that two people rushed with the new wife's "Tomo-chan" on their honeymoon, they are not hampered. 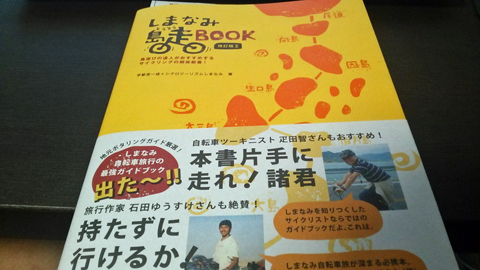 そんなIt is a book written by Mr. Kazunari Utsunomiya who knows the fun of bicycles, so there is no mistake. A book that wrote the state of the honeymoon is also published. 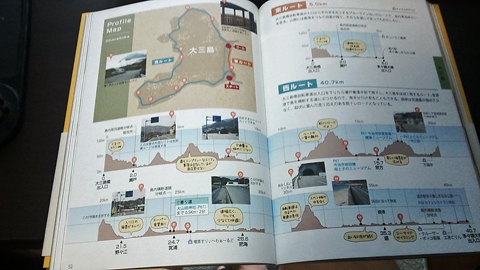 Contents of the "Shimanami island run book"
Among them, the page that you can recommend for both beginners and experienced in this book is a page that tells about each Shinanomi course and elevation difference. When you run inside the Shimanami island, you have to be careful, in fact the inside of the island is quite up and down. When you cycled around the island, you might thought easily, "Let's run slowly with the children while seeing the ocean" or "The circumference of the island is flat", the children "I am tired already ~ (sorry)" It can be a serious thing such as not being able to run (anger), "going home anymore" (crying). In order not to be such a thing, we recommend that you go cycling after first preparing with this "Shimanami Island Running BOOK". Recommended for beginners and experienced.